ท่านคณบดี ดร.พิสิฐ ลี้อาธรรม ได้สอบถาม (ทาง Line group ของคณะฯ) ผมว่า มีแนวทางในการพัฒนาระบบโลจิสติกส์ของไทยอย่างไรบ้าง? Dean Pisit: For logistic discipline followers, Thailand should adopt a KPI to reduce our cost and time to the level of Singapore. I think the Ministry of Industry is now trying to implement the World Bank approach of Logistics Performance Indicator (LPI) in Thailand. Sadly the main target they aim is only to reduce logistics cost, which is only one side of more than 10 aspects in logistics decision making. Dean Pisit: Pls show me so i could find a way to bring it forward. 6) Timeliness of shipments in reaching destination within the scheduled or expected delivery time. 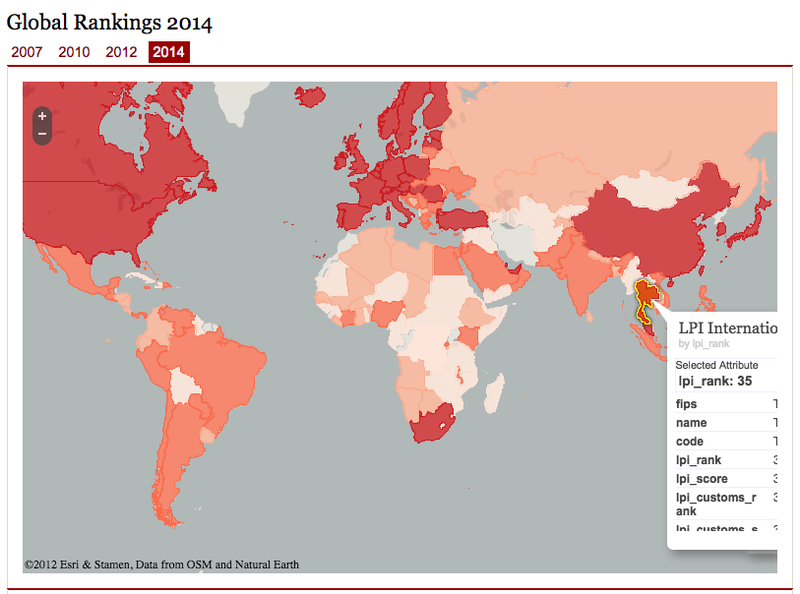 Pairach: Clearly show that we are the number 3 in ASEAN. Pairach: Vietnam is only their way to beat us, similar to what Malaysia did. Pairach: Singapore is the best in infrastructure at the global level. In ASEAN Singapore is the best in all aspects. Comparing Thaialnd vs Malaysia, Thailand is slightly better than Malaysia only in “Timeliness”. 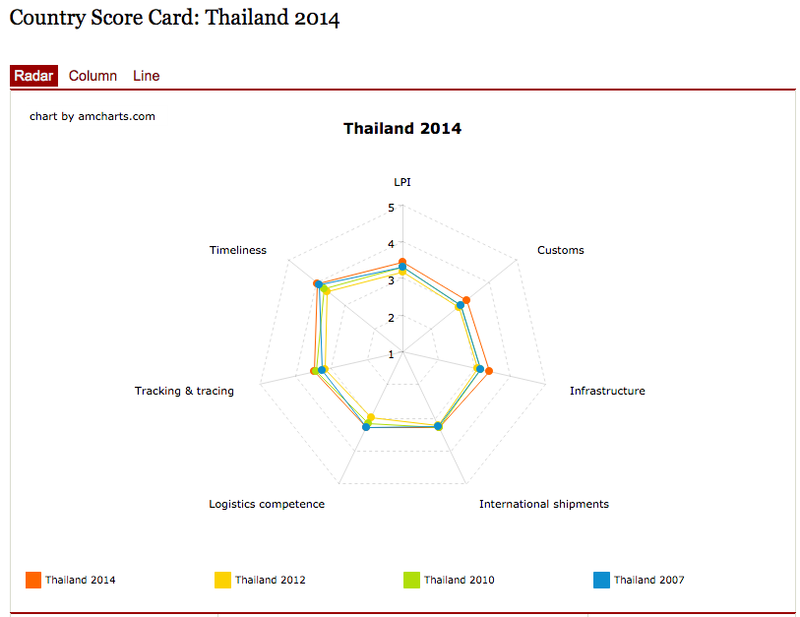 Big issue for Thailand is custom clearance and logistics competence (Human resource issue). 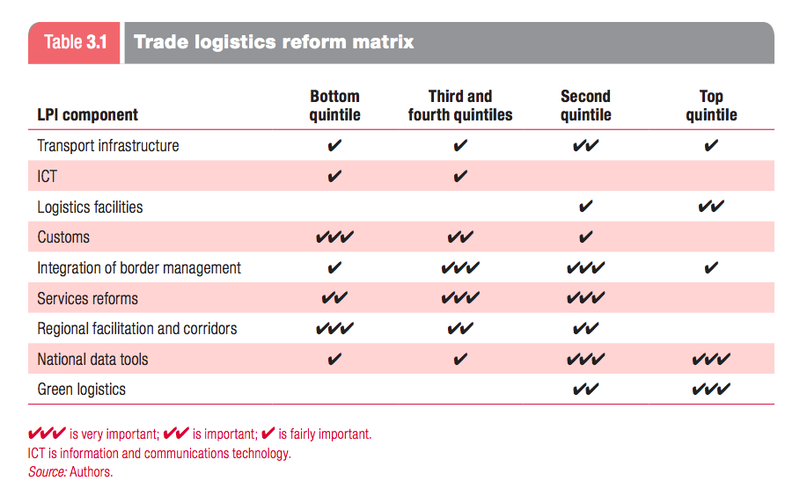 Ability to manage and handle logistics properly is what Thailand missing. Pairach: To move up the the top tier, National data tools and Green logistics are important. Dean Pisit: We should use this sort of ranking to challenge the Ministry and Salary could be adjusted accordingly. Pairach: I believe they know but it’s very difficult to meet this KPI. Pairach: Reducing Average logistics costs is easier, but not the ultimate answer. Dean Pisit: If proper incentive is put in place, there could be guided to work hard. Pairach: To the best of my knowledge, the ministry of Industry still struggle to measure the impacts of their activities and project on the logistics cost at the national level. Pairach: Agree on using incentive to push the private sector to develop their logistics competence, not just only the cost. Pairach: Perhaps could be integrated in the agency like BOI. 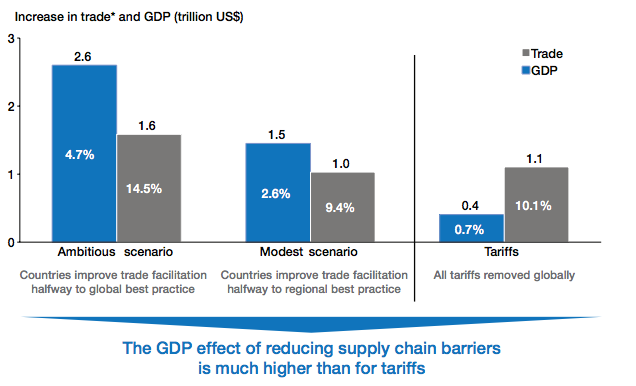 Pairach: At the international level, one recent finding by WEF show that “reducing the international supply chain barriers” performs better than “reducing tariff” 7 times in term of GDP growth. Dean Pisit: Let international rating be the standard. 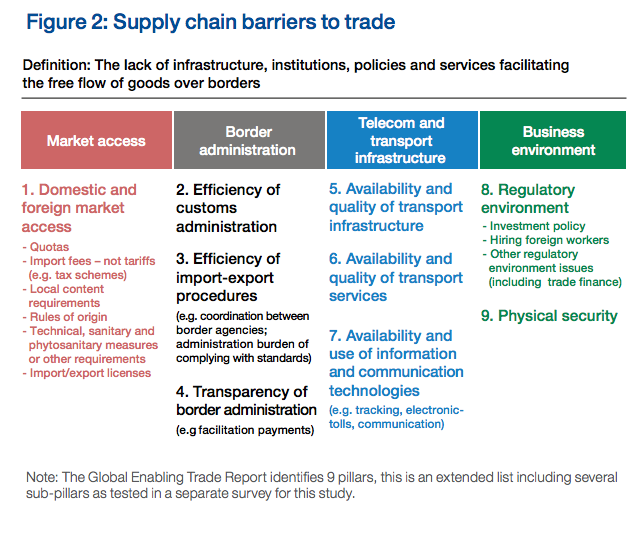 Pairach: Here are the supply chain barriers we should reduce across the border and port krub. Pairach: The following is the comparing the effects of “Reducing supply chain barriers” vs “reducing tariffs” on GDP growth krub. Pairach: However the effects could vary in different regions. Pairach: With simulation, ASEAN could gain 12% Export and 18% import growth by reducing supply chain barrier. Also we hardly compete to Singapore in terms of logistics cost because we have different logistics system support ting different product type. 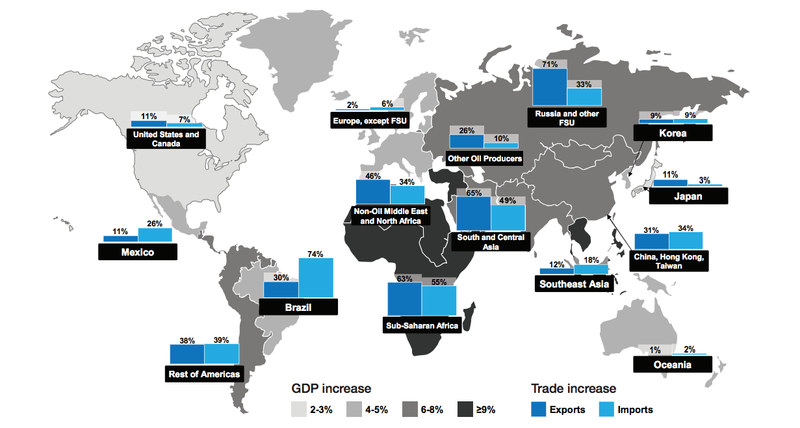 We are export more agricultural products much more than Singapore. However, we can develop value creation process in the supply chain, for example transformed agricultural products such as fresh longan into not just dried longan but things like snack or drink or even medical proucts like Longanoid cream (for joint problems). That’s my opinions. ← (คลิปเด็ด) บ่าวไทย VS สาวจีน by ททท. Matrimony isnt a word, its a sentence.